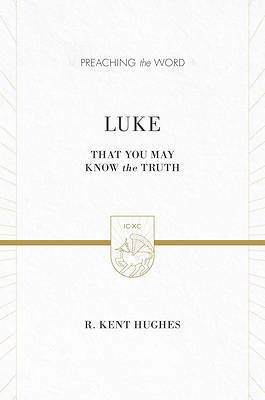 Luke's carefully researched and orderly account of the life of Christ is one of the finest pieces of historical writing from the ancient world. More importantly, it boldly proclaims the story and significance of Jesus, emphasizing his "gospel" as good news for the whole world. In this illuminating commentary, respected pastor R. Kent Hughes explores Luke's historical claims about the life of Christ and his overarching message, offering helpful insights into the Biblical text and pastoral reflections on how it applies to everyday life. Written to help preachers and Bible teachers communicate God's Word more effectively, this commentary explores how the life, death, and resurrection of Jesus constitute the fulfillment of Old Testament prophecy and guarantee salvation to all who believe on his name.